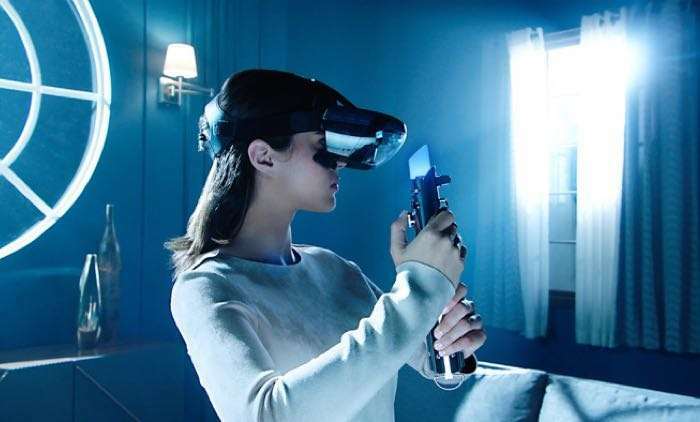 Lenovo has announced the launch of a new VR headset and whilst the details on the headset are a bit limited at the moment, we do know that Lenovo and Disney have teamed up on the device for Star Wars. The new Lenovo VR headset will be used to play Star Wars related games and the companies have teased a couple of games which include Holochess and another game called Jedi Challenges, have a look at the video below. As yet there are no details on when this new Star Wars themed Lenovo VR headset will launch and also no details on the hardware. You can register over at Lenovo’s website at the link below and they will provide more details about the device and the games when they are available.